Several years ago, my oldest daughter Hana became interested in wrestling. Judging by what caught her eye, I started introducing her to CHIKARA and took her to shows when they hit the Carolinas. There was a particular weekend that I was excited for (October 2011), we did a doubleheader in NC & Tennessee, and one of the special guests working that weekend was Kana. That weekend she quickly became a favorite of the whole family, torturing young Jessie McKay (Billie Kay) and then main eventing against Sara Del Rey the next night in an amazing match. That is when I started following her career and finding any match of hers I could. Four years later, she appeared in the crowd at NXT Takeover: Brooklyn and signed with WWE. She took over the division, winning the title and holding it for over 500 days and then being promoted to the main roster without ever losing the title. She hit the ground running, keeping her undefeated streak, being the sole survivor at Survivor Series, and then in 2018, winning the first ever women’s Royal Rumble. This led to Asuka challenging Charlotte at WrestleMania, where they had a great match and Asuka suffered her first singles loss in WWE. And that’s where thing started to slowly fall apart, as the Charlotte win was a vehicle to get heel heat on the IIconics and to set Carmella’s MITB cash-in. Vince McMahon: …Bring me Charlotte! And they did. Charlotte defeated Asuka to win the Smackdown women’s title, which caused quite the divide among fans. On one hand, they completely tanked Asuka’s title run, which started out very promising back in December but fizzled quickly. But on the other hand, the decision does have some logic to it. Not only does Charlotte have something to bring to the match, which Becky said she didn’t, but it also plays into the special treatment Charlotte has received. Finally, it adds more stakes to what is a historical match for the company. But while we have some logic there, to me it feels like a case of robbing Peter to pay Paul. Now trust me, I am fully aware that the build to the Mania main event has to take priority, but I do feel that Asuka’s title run and big back to back wins in December & January were simply filler and now look like a missed opportunity. All the shine is on Raw, all the shine is on Becky & Charlotte, and that’s all well and good, but it feels like WWE has basically tossed the Smackdown women in the bin and called it a day. The 411 on Wrestling Podcast returns to the 411 Podcasting Network for episode 6. 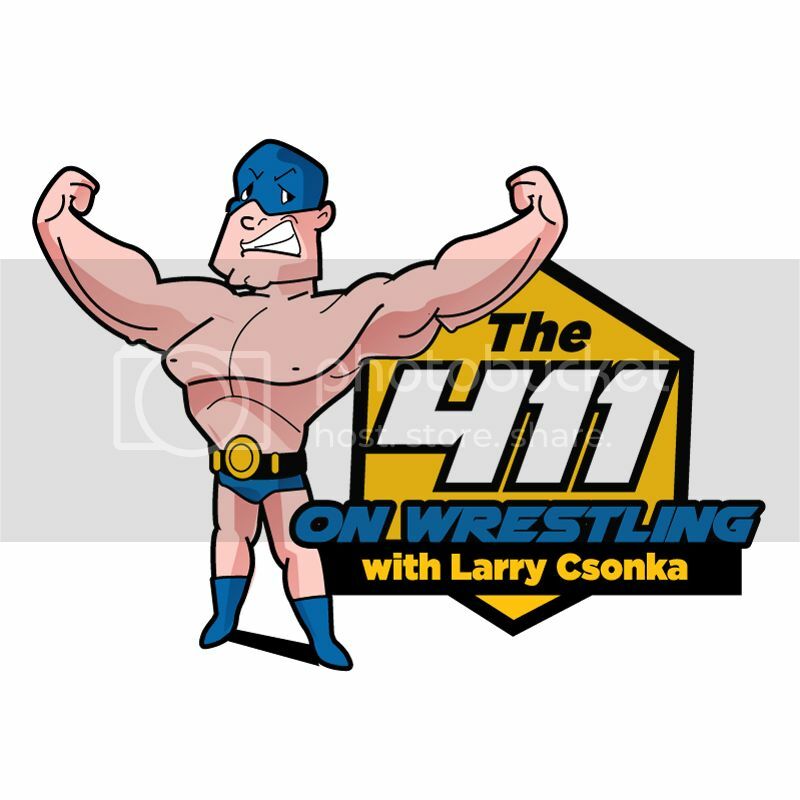 On today’s show, 411’s Larry Csonka is joined by Steve Cook Jr III. On the show, the guys discuss AJ Styles re-signing with WWE, Kurt Angle vs. Baron Corbin, the Good Brothers possibly leaving WWE, Jim Ross possibly going to AEW, Impact & OVW working together again and Rob Gronkowkski possibly heading to WWE. The show is approximately 70 minutes long.